For breakfast, we cook to your preference eggs, sausage or bacon, hash browns, toast and coffee or tea. We also serve steel cut oats or pancakes with organic maple syrup. Please notify the manager in advance if you wish to dine at the lodge. Our three course menu is limited to several main courses and we use fresh locally sourced ingredients whenever we can. If you decide to take advantage of some of the fine walking opportunities on the Island, or visit another island, packed lunches for your excursion are available. Alternatively, we would be pleased to direct you to one of several local restaurants. When you book your accommodation at Alert Bay Lodge please inquire about wildlife tours we help coordinate for local tour operators. 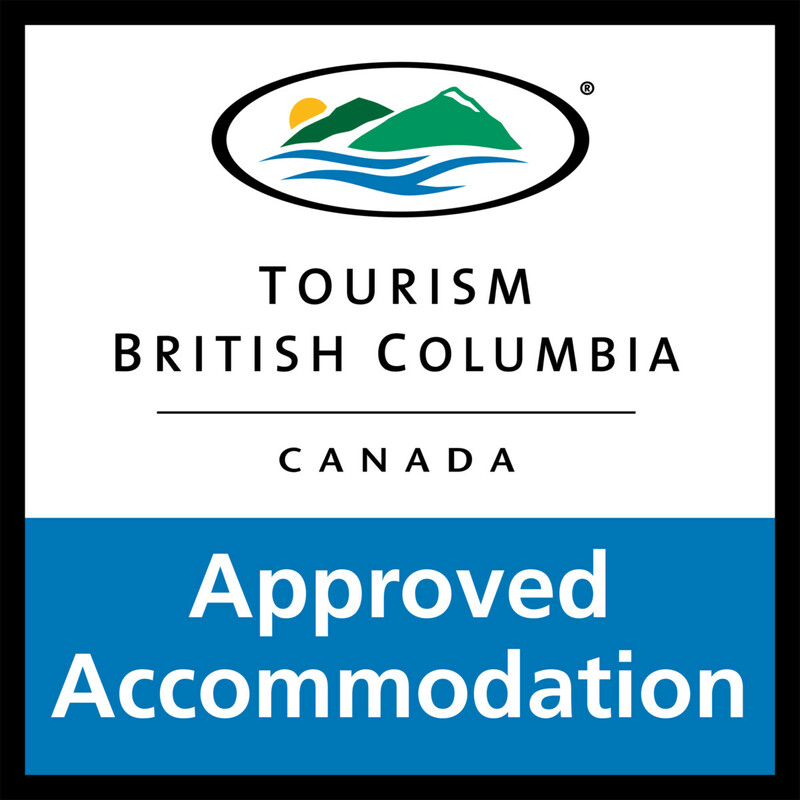 These operators live, work and employ staff in the North Vancouver Island region and their tours will most certainly enhance your stay in Alert Bay. The bear tours are in 12 passenger boats with heated cabins and washrooms. Whale viewing vessels vary from 12 passenger to 48 passengers. July and August are busy so please email or call us in advance of your stay. We have partnered with these local tour operators for years and happily vouch for their professionalism, reliability and outstanding results. Catch the 2:10 pm or a later ferry to Cormorant Island (check in time is after 3:00 pm). The last of six ferries to the Island leaves Port McNeill at 9:30 pm. Don’t worry, we’ll wait for you if you’re on the last boat at 9:30 pm – but please call ahead! We’ll offer you a coffee or tea, a map of the Island and introduce you to local sights and attractions. You can also order dinner for the next evening at the lodge. In the evening have dinner out at one of several restaurants. Spend the day visiting the U’Mista Cultural Centre, the Ecological Gardens, the Big Tree Trail and the T’sasala Cultural Group. All are within walking distance of Alert Bay Lodge. Or take a morning whale watching trip. Enjoy a glass of wine on the sundeck as the sun sets. Full day grizzly bear viewing. The 12 passenger boat picks up near Alert Bay Lodge at about 7:00 am and returns at approximately 4:00 pm. In the evening, enjoy a stroll east from Alert Bay Lodge along the ocean road into the residential areas. Relax with a leisurely breakfast and say farewell to your fellow guests. Check out time is 11:00 am. 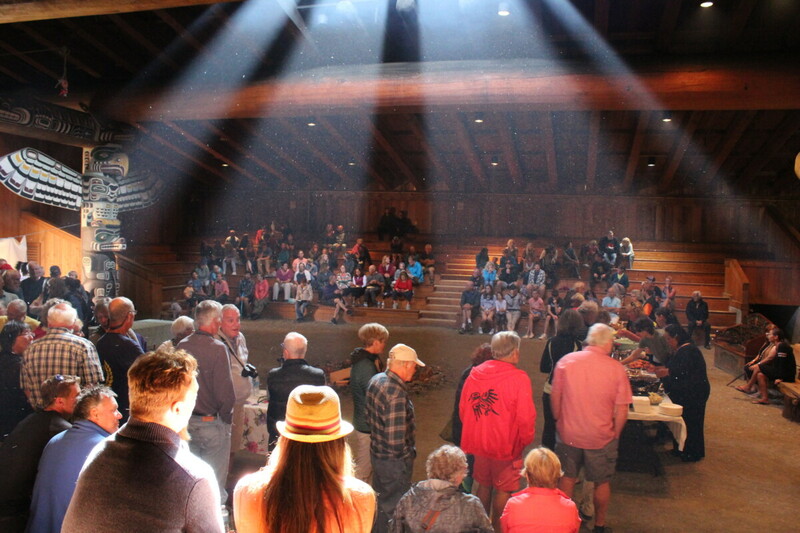 For major events such as these, accommodation providers in Alert Bay are often stretched to meet demand. For the sake and sanity of everyone, we recommend you book well ahead. Alert Bay Lodge is booked solid during these events – please book well ahead. Located less than two kilometers from the Village, we’re close to the action, but far enough away to enable a good night’s sleep. During major events we have a three night minimum and during the 360 Eco-Paddle we have a two night minimum. Please contact us if you need more information regarding our accommodation in Alert Bay. Request a reservation. The best way to experience Alert Bay is on foot, either by walking the 13-km (8-mi) shoreline, or hiking and biking the Big Tree Interpretive Trail and the boardwalk into the Ecological Gardens. Along the way, you’ll find local residents friendly with many interested in your story. 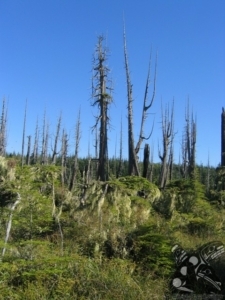 A guidebook available from the Visitor Info Centre in downtown Alert Bay contains information on each of Big Tree’s 15 interpretive stops, as well as descriptions of the rest of the island’s trails. The Ecological Park is located at the top of the island next to the Big Tree Trail system. While this swampy, eerie bog is nicknamed “Gator Gardens” it doesn’t harbour alligators; rather, its moss draped pines and buyouts lend a strong resemblance to the Florida Everglades. Boardwalk, chip and dirt trails interweave throughout the first growth timber, ghostly, gnarled trees, and a plethora of bird and plant life. Alert Bay is an island community rich in First Nations culture. The ‘Namgis First Nations Burial Ground is near the centre of the Village and the world tallest totem pole stands 173 feet next to the Big House. 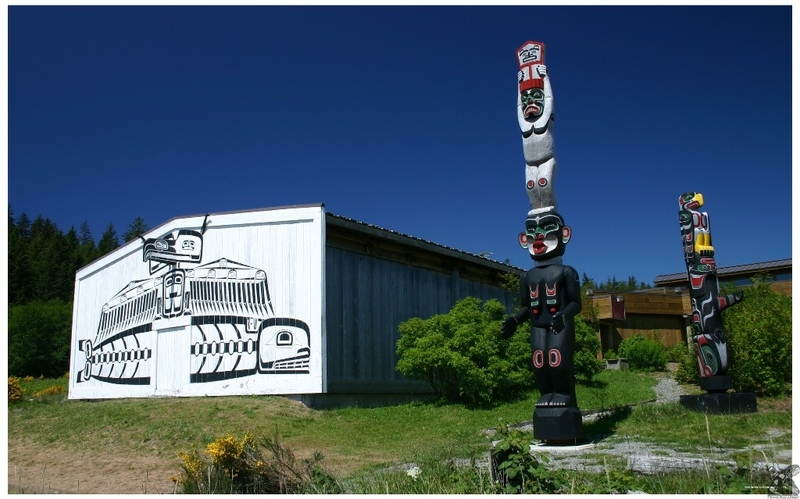 The U’Mista Cultural Centre houses a remarkable collection of historical artifacts depicting the Potlatch Ceremony of the Kwakw a k a ‘wakw people as well their historic and contemporary artwork. 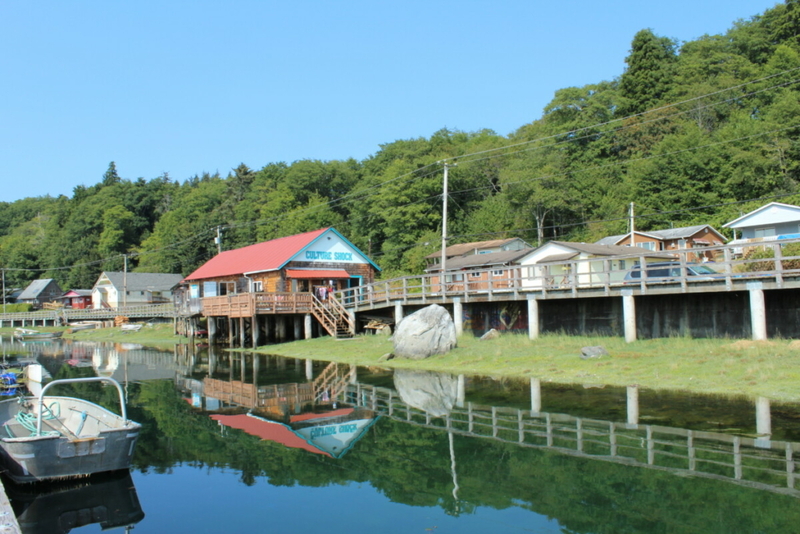 The Centre is located at 1 Front Street, about three kilometers along the ocean shore road from Alert Bay Lodge. Tours of the Big House, including demonstrations of native dancing, can be arranged through the U’Mista Cultural Centre. U’Mista is open seven days a week during the summer and from Tuesday to Saturday during the winter. Several shops in the Village sell indigenous art including the Tourist Information Centre, located in the Village at 116 Fir Street. The Alert Bay Library Museum, next door at 118 Fir Street, displays old photographs of native and settler populations dating back to the 1890s. Tours range from three to five hours and depart Alert Bay, Telegraph Cove and Port McNeill. 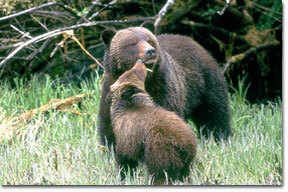 Grizzly and black bear tour, by boat and on land. Let us whisk you away by zodiac into the heart of the Plumper Islands for an exciting overnight kayak trip. Multi-day tours are also available. As well, we can organize you to fish for salmon or halibut or tour the island’s ancient villages in the company of an experienced First Nation skipper and guide. A full day tour (12-14 hours) costs $600 and a half-day (6 hours) is $400. Prices include fishing gear and lunch. 40’ former trawler with an onboard washroom. Eight person capacity. We also recommend the services of Vancouver Island Kayak. This company offers a wide selection of kayak tours of Vancouver Island and has a particularly good selection multi-day kayak trips of Johnstone Strait. Call 1.800.255.5057. 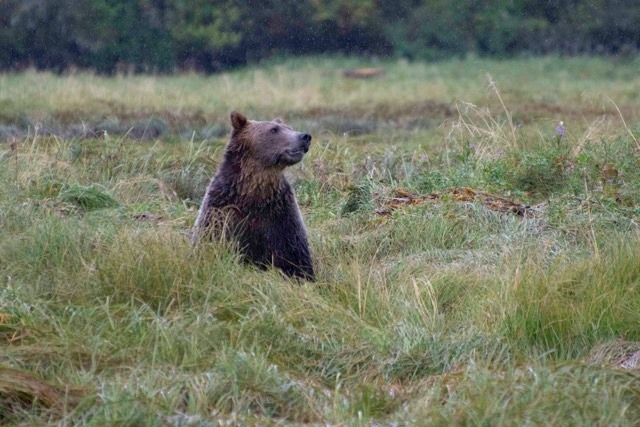 Beginning in late May, we explore the hidden habitat of the Knight Inlet grizzly bears or the spectacular X̱a̱ḵwika̱n (Thompson Sound) or Hada (Bond Sound). 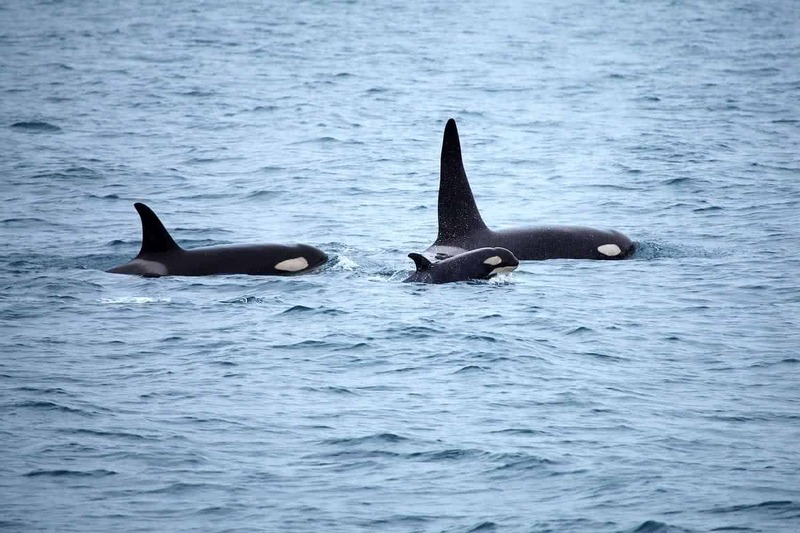 Other wildlife viewing opportunities include eagles, humpback whales, minke whales, Pacific white-sided dolphins, Dahl’s Porpoises, seals, sea lions and wolves. To book this package, please email reservations @ alertbaylodge.com. When you make your inquiry, please provide alternate dates as this trip is subject to availability and has limited seating capacity. Prices range from $110 to $130 per person. We work with operators in Alert Bay and Telegraph Cove. The operator in Alert Bay operates a 12 passenger open vessel which tends to personalize the experience of seeing whales. 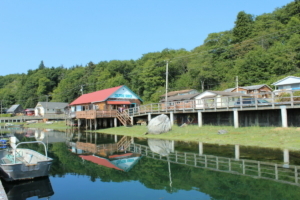 Our operator in Telegraph Cove runs 40′ and 60′ covered boats with an on board naturalist.